Welcome to my Holiday home at Liskey Hill. 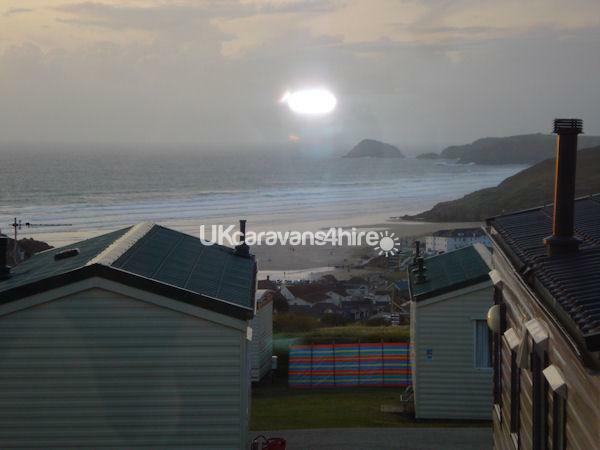 Liskey Hill Caravan Park is situated on the outskirts of Perranporth overlooking the town and beach. 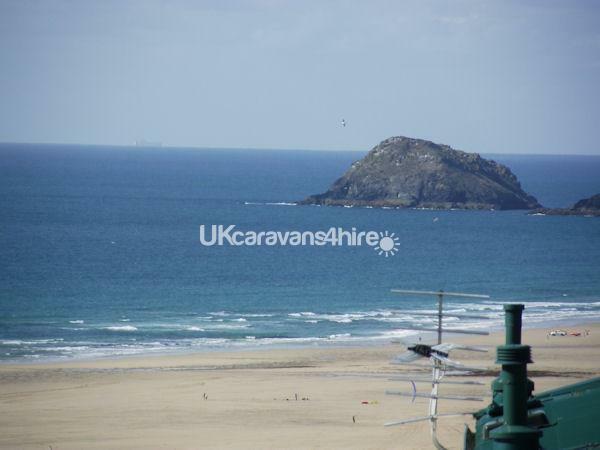 It is a small, quiet, friendly site which boasts the most amazing coastal views. It is only a short walk to the town and wonderful 3 mile long sandy beach. My Caravan Home is comfortable and well equipped. It is sited on a lovely pitch well away from the park entrance and main road. It has beautiful views of the town, beach and sea, also gated decking with table and chairs. It sleeps 6 people (we also have a van with a child's bunk bed which can sleep 7 please ask) there is a pull out bed in the living area, a double bedroom and a twin bedroom. They all have comfortable mattresses, which I can convert into doubles with appropriate bed linen if requested in advance. I include all bed linen and a tea towel (just bring your own bath/beach towels). The kitchen is well equipped with all the necessary utensils and microwave. The lounge has a 40" LED TV and DVD player with plenty of dvds. There is also a TV and DVD Player in the main bedroom. Perranporth is a magical place to have a holiday, that's why so many people return here year after year. £100 deposit will be required to secure your booking. Payment for the full amount will be due 6 weeks before the holiday. We have just had a wonderful week and will book again. The van was clean and well presented and very comfortable. I have been going to Liskey Hill for years and stayed in many different vans. I was very pleased with Debbie and her van. Lovely caravan and a lovely site. Debbie has been very nice to us and we would recommend her and her caravan to anyone. Thank you. Hi, Just had a lovely week in this van. Debbie had the beds all made up for us and we had new extra heaters in every room. Nice and comfortable. We will book again. Great time and a great experience. Very happy. I stay twice a year on Liskey Hill and always request this same van. The views are amazing as is Debbie and her services.10/10 every time. We have been to Perranporth before and stayed with Debbie. We are always very happy with her and her vans. Thank you.